A good memory is an invaluable asset. The good news is that there are ways in which you can improve your memory of large chunks of information from different techniques you can learn to supplements as Prevagen that help you have a way better memory. 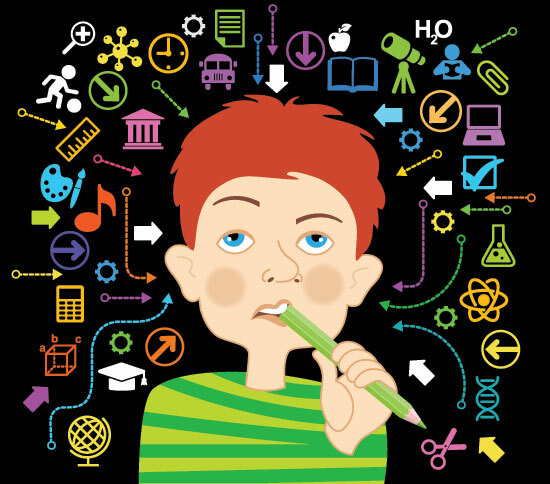 Mnemonics are ways of memorizing that help learners remember large chunks of information that are presented in the form of lists, cycles, maps, parts, steps, characteristics or stages. In fact, the use of mnemonics dates back to 500 BC, according to Yates (1966). The word mnemonic itself is derived from the Greek word Mnemosyne, the ancient Greek goddess of memory. A 2015 study on the effectiveness of the use of mnemonics in instruction found it to be more effective than the traditional lecture method in ensuring that students retain the information that is discussed in the class. There are different types of mnemonic devices, as described below. The following rhyme mnemonic is commonly used to remember the number of days in a month. 30 days has September, April, June, and November. 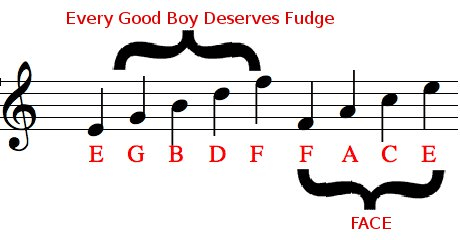 Making up songs or jingles with the first letters of the words or the words themselves that you have to remember, is another popular way of remembering. The most popular song or jingle mnemonic that almost every kid learns is the ABC alphabet song. In a name mnemonic, the first letter of each word that is to be remembered is used to make up a name that can easily be remembered. Sometimes the items are rearranged to make the name more memorable. Sometimes students have to memorize long processes, or relationships. Model mnemonics is very useful here. This is very useful to students who are visual learners who learn best when information is visually represented. 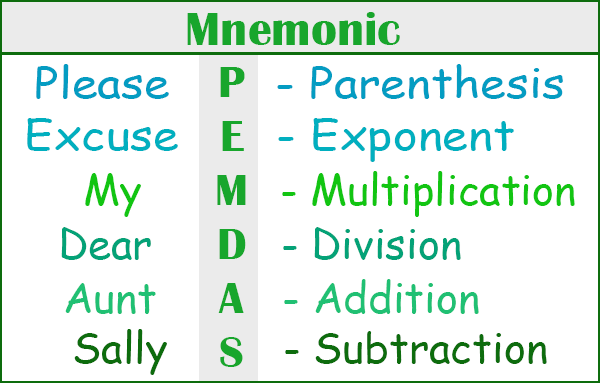 Another example is the mnemonic that is used to remember the order of operations in pre-algebra: Parentheses, exponents, multiplication, division, adding, and subtraction. This is very popular with students. To make this mnemonic, the first letter of each item in a list is arranged in such a way that a sentence, phrase or word emerges. Here is another, from music. Can you create an Expression Mnemonic for remembering the order of the planets from the sun outward? My Very Exhausted Mother Just Sat Utterly Numb. My Very Energetic Mother Just Served Us Nachos! Well, you could substitute any other word here. Mnemonics is just a matter of imagination! Note organization mnemonics makes use of the principle that the human mind likes to organize information in related categories. The following are three examples of organizing information that promote recall. What is a beauty contest? Outlines help you memorize long essays or theories by listing only the main ideas, and perhaps giving hints of sub-ideas. 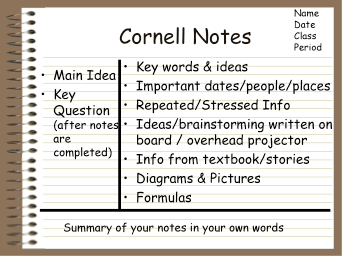 The Cornell Notes system (also Cornell note-taking system or Cornell method) is a note-taking system devised by Walter Pauk, a professor at Cornell University, in the 1950s. 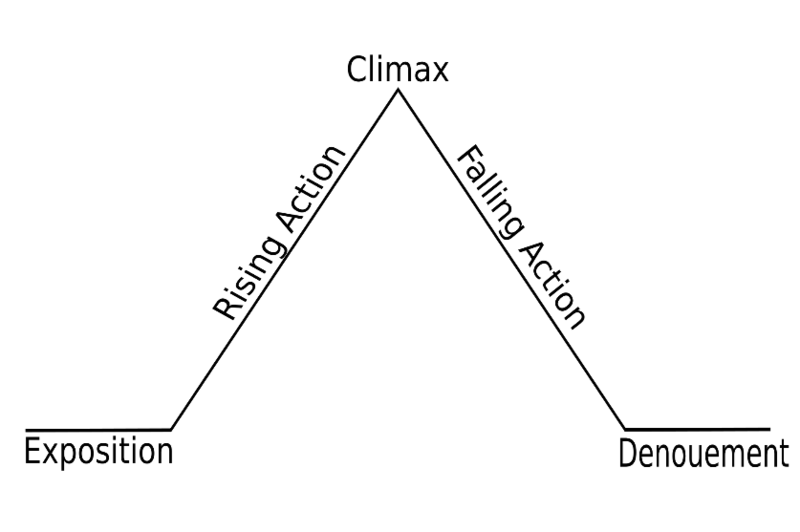 In this system, you break down your notes into three sections. On the right –hand column you summarize the topic being discussed, and on the left you record concepts and key words. The summary section that is at the bottom will help you to review topics quickly. The benefit of this method lies in the fact that you are reflecting on what you learning, in real time. This organization and reflection benefits memorization greatly. That was a quick review of some mnemonic devices to help with memorization. How about you? What other memorization techniques or tricks do you know? Write to us, adding to this list. Thanks for your wonderful article on Mnemonics. but I would like another way for enhance learning through Sciencecomics. It help children to increase their knowledge faster and learn from experiences. Very interesting and useful article. This is useful for both children and adults. I will definitely use it. Even specifically for memory, I bought nootropicboost, they improve memory and mental activity.